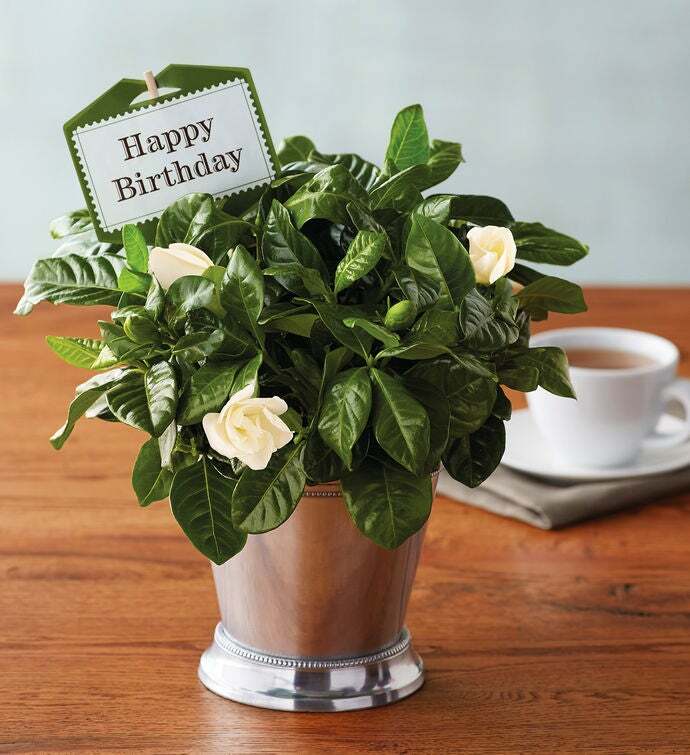 Our Happy Birthday Gardenia is the perfect floral gift to commemorate that special day for any plant lover. Wonderful indoors and out, the gardenia's glossy leaves are accented by stately white blossoms. Given sunlight and water, they'll soon produce gorgeous blooms, and the strong, sweet scent of their flowers will fill any room. Make this delight, which arrives pre-planted in an elegant chrome julep cup, your next floral delivery.